The North Shore of Kauai is quintessential paradise. Dramatic cliffs plunge into invigorating turquoise waves and lush jungles fringe inviting white sand beaches. Home to the infamous Hanalei Bay and the Napali Coastline, the North Shore boasts some of Kauai’s most treasured gems. It’s easy to dive into the local culture when staying on the North Shore, as the environment is cozy and the sentiment is filled with Aloha. Dedicated to matching your unique lifestyle with an unforgettable vacation, Kauai Exclusive Management offers a variety of irresistible North Shore rentals with unparalleled customer service. Discover your own bliss at the peaceful oceanfront home in Aliomanu, a pristine area of the North Shore with beaches seldom stepped upon by visitors. Settle into Princeville, where elite properties with state of the art amenities will offer you easy access to swimming, hiking, golfing, shopping and dining. Or, embrace the classic Kauai experience in a charming Dolphin Cottage, located right on the Hanalei River and just a five-minute walk from town. With so many amazing options, a Kauai Exclusive representative will be happy to help you find the perfect fit. In addition to their majestic properties on the North Shore, Kauai Exclusive manages multiple properties on the East Shore and the South Shore. 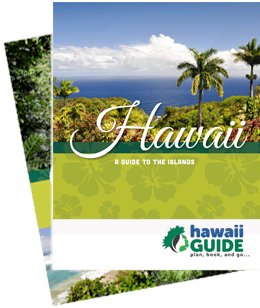 This content is sponsored by Princeville Vacation Rentals by Kauai Exclusive. Guide of US is a travel destination media and marketing company that receives compensation from companies or organizations whose products or services are promoted on this site. We review and evaluate the services of each company to ensure they meet our highest quality standards for travelers. We are independently owned and any opinions expressed herein are our own.